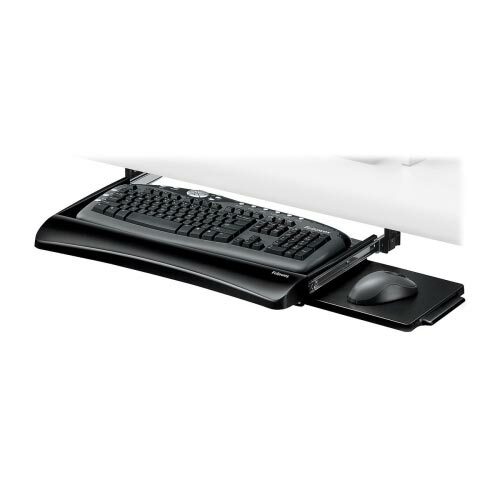 This deluxe keyboard try with a comfort soft wrist rest features three height adjustments to suit preferred work position. Mouse tray mounts on either side of keyboard tray or stows underneath. Includes soothing memory foam wrist support for added comfort. Ball-bearing glide tracks are 13.5" long and ensure smooth drawer movement. Glide track length is 10"